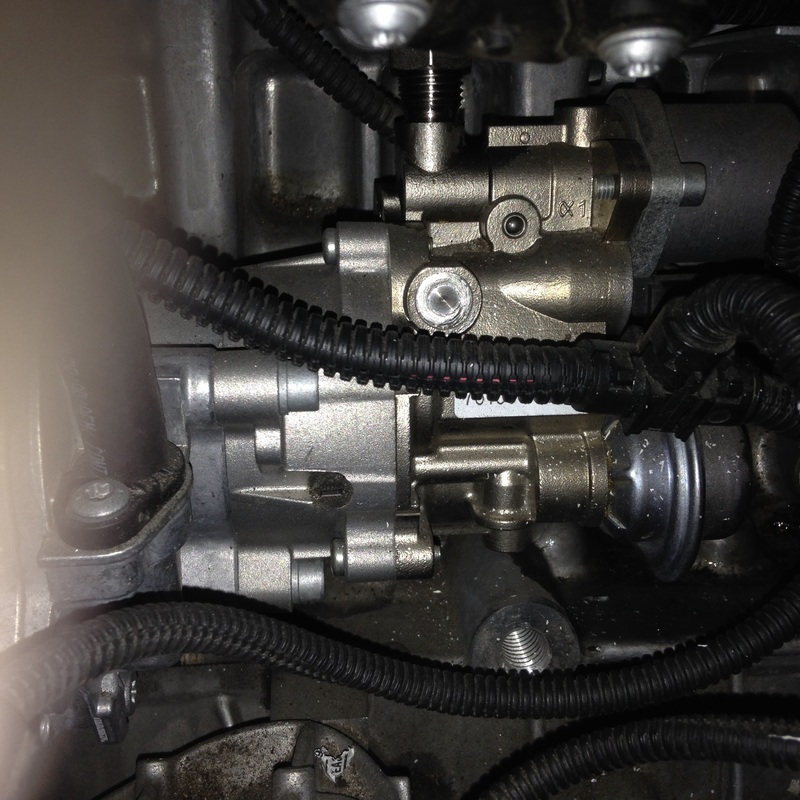 Picture of a high pressure fuel pump on a 2012 F10 N55 engine,,,customer complaints of long crank during start up,,,integrated fault memory,,,no faults,,,,I then performed fuel rail pressure test was ok,,,,performed fuel injector leakage test ok,,,performed fuel pressure holding pressure after shutting off ok.,,,so there are only a couple things that can cause long crank,,,,number 1 the high pressure fuel pump,,,number 2 low fuel pressure sensor,,,,ok 3 things fuel injector bad or leaking,,,,if a fuel injector is bad you would have rough running or fuel coming out the exhaust,,,,and we don’t have that,,,so the problem is fuel pump or low fuel pressure sensor,,,,and there are no faults for the sensor,,,and fuel rail pressure was ok. So we decided to remove the high pressure fuel pump,,,,we have to remove this oil sensor which sits right behind the high pressure fuel pump,,,,you have to remove it to gain access to the rear bolt for the high pressure fuel pum. Here is the small hole in the engine block where the oil sensor is located.,,,,on the old N54 that sensor was not in the way of replacing the fuel pump,,,,,they changed that on the N55. 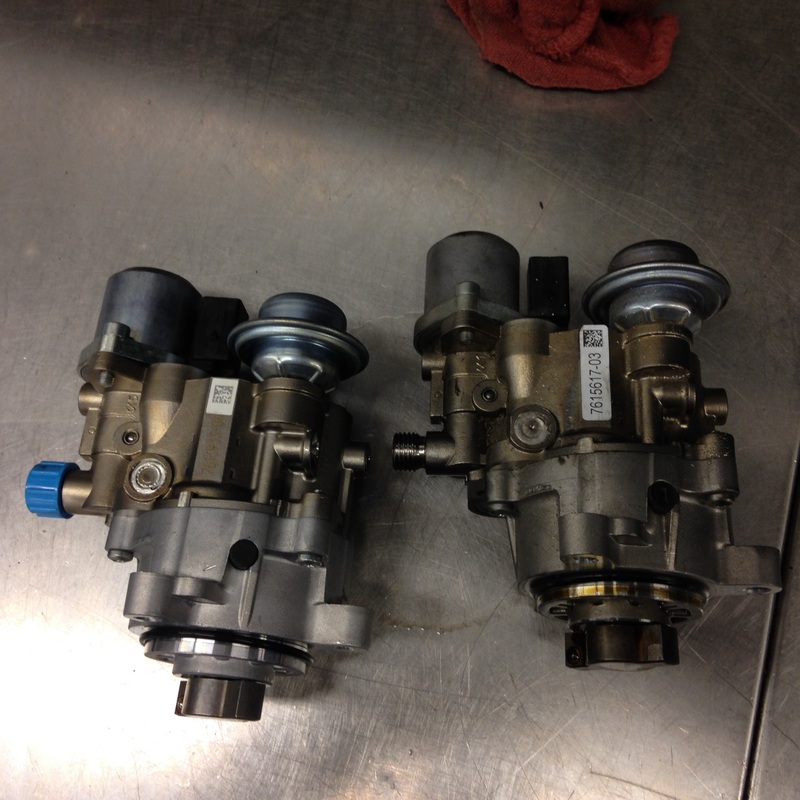 Here is the old and the new fuel pumps,,,there is no change,,,,,this fuel pump is the same in the N54,,,,when the N54 came out we were replacing the high pressure fuel pump everyday,,,the first couple of designs were very bad ,,,,they finally go it right after all these years. This entry was posted in Uncategorized and tagged high pressure fuel pump, long crank, N55. Bookmark the permalink. Amen,,,,I remember when the high pressure fuel pumps came out on the N54 engine,,,and we were replacing them everyday,,,,I remember I put a new one in a car,,,,,and went on a test drive with the new fuel pump,,,,on the test drive the new fuel pump failed and left me stranded on the test drive,,,,had to have the car towed back to the dealer and put another fuel pump in the car again. Have a question on the fuel pump replacement, do you need to reprogram anything if you install a remanufactured pump on a 2011 E90 N55 manual rwd? I’ve been experiencing the cold start issue for about 6 months now and it’s happening more and more often if I left the car in garage even for just couple days. No you don’t have to programm anything when replacing the high pressure fuel pump,,,I recommend to also replace the low fuel pressure sensor if this model has one,,,,it should sit on the fuel feed line to the high pressure fuel pump if this car has one. Yes that fuel pump should be fine. Thanks for the reply Andreas. The older N54/early N55 continental HPFP just slides straight off the vacuum pump but I have the new Bosch HPFP introduced in 2012 on my new engine. It wont slide off like the old one as it has a metal blade on the end of a shaft that is linked to the pulsing sensor. It is basically joined to the vacuum pump so the whole lot has to come off. I am going to order the special tools for holding the Vacuum pump sprocket and chain at the front and put my old vacuum pump and HPFP on so all the electronics are compatible. 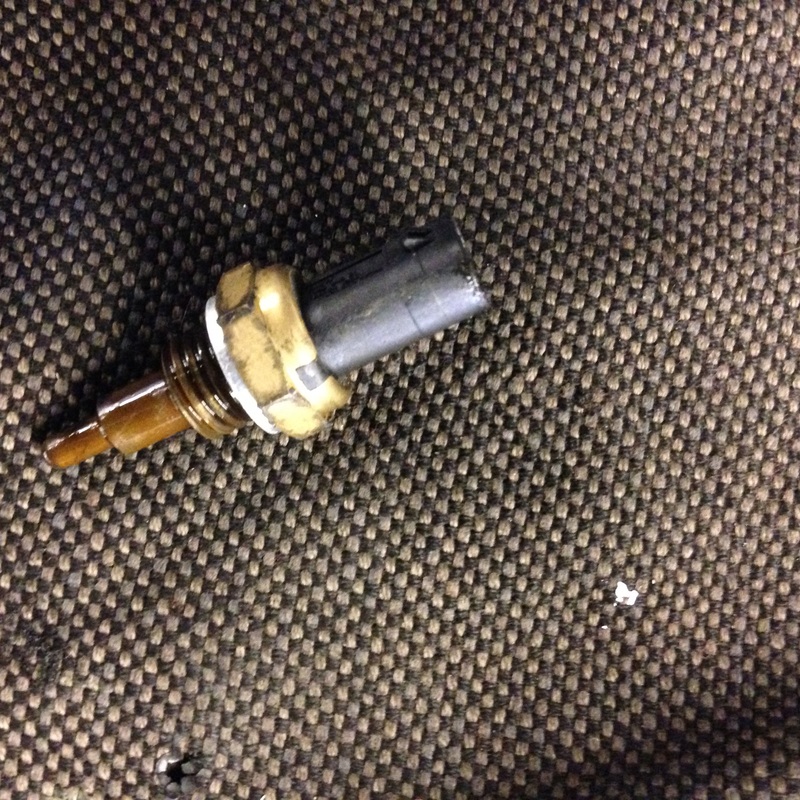 No I didn’t calibrate the old DME to the new engines injectors ….thanks for the tip. Have you ever changed a vacuum pump on an N55? I’m hoping the sprocket and chain sits firmly with the special tools while I change the vacuum pump. Have to any precautions I should be aware of? No I haven’t replaced a vacuum pump on a N55. 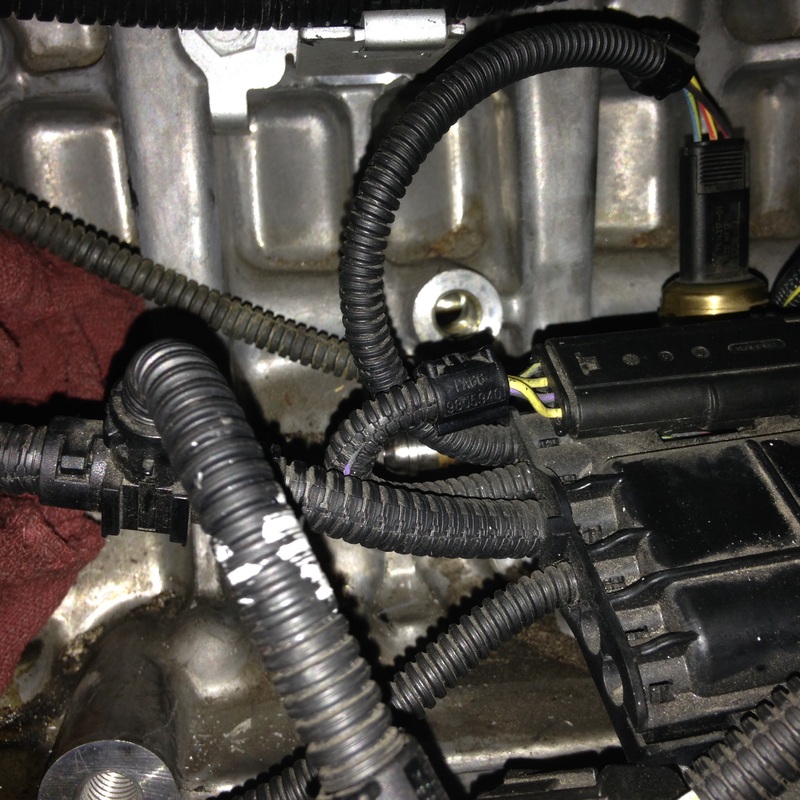 I have a 2011 BMW 335i with a feed line that does not have the low pressure sensor on it. Where should I be looking for the low pressure sensor? I want to change the low pressure sensor first to ensure that it is not my HPFP. on the f10 n55 my rail pressure reads 1000psi. On my buddys car which is same exact car same year same everything his reads 1700psi……Im having rough idle issue i restart car after an hour of sitting? do i have a HPFP issue?